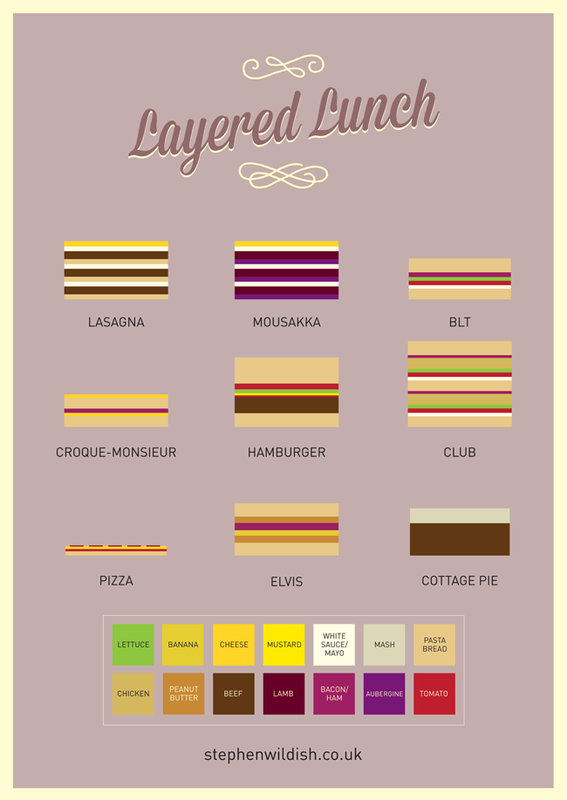 Last week we brought you a great infographic looking at layered sweets with dissections of some of the most famous desserts. Now the designer Stephen Wildish has focused his attention on savory layers. From the obvious lasagna or burger, to more the more unique dishes such as the Elvis and the Coque-Monsier. As with the desserts infographic users need to look at the color key at the bottom of the chart to understand what colors correspond to certain ingredients.